1 × = five Required Please enter the correct value. Yahoo! Inc. (Nasdaq: YHOO) stock rose 4.5% today (Wednesday). But why? Slight revenue growth was the only good thing to come of YHOO's earnings report Tuesday. 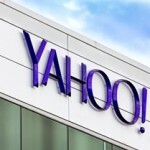 That's why YHOO investors need to see some key events take place to improve Yahoo's outlook. Yahoo Inc! (Nasdaq: YHOO) stock got a boost in after-market trading following an earnings report that beat analyst estimates.